Bolivian airline, Boliviana de Aviación (BoA), has ordered the unique, blue-glowing, photoluminescent floor path marking system for two of its Boeing 737-300s and one of its 737-700s aircraft. Currently flying to 13 destinations in 5 countries, BoA is the largest airline in Bolivia in terms of both fleet size and passenger numbers. BoA is the flag carrier airline of the Plurinational State of Bolivia and is wholly owned by the country's government. STG Aerospace currently serves over 50 customers in Latin America including airlines, MROs, and regional operators. To support the growing MRO market in Latin America, STG Aerospace has recently strengthened its team in the region with the appointment of a new Regional Sales Manager. 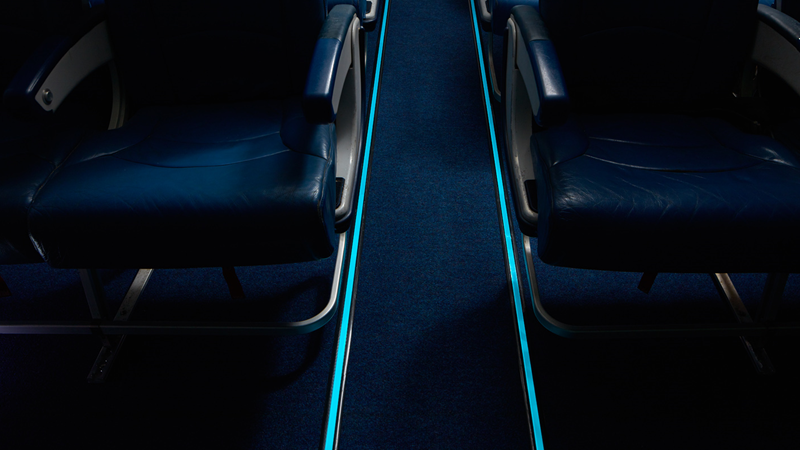 The company anticipates further orders for its saf-Tglo® blu - the world’s only blue-glowing, photoluminescent floor path marking system, which fits better with cabin interiors and customer branding. With FAA and EASA approvals for the majority of Boeing, Airbus and Embraer aircraft types, BoA is the latest airline to join a number of major global airlines to select the award winning saf-Tglo® blu technology including; one of the world’s largest low-cost carriers, Icelandair and a major Boeing 777 operator.